Viking Steel Structures offers a complete line of pre-engineered clear span steel buildings. These are pre-fabricated buildings that do not need to rely on support columns of any type. This means there are no posts or beams are used in the internal space of the steel buildings that are classified as clear span steel buildings. When looking at the term clear span it is important to fully understand what the term implies. It means that span between the wall columns is free from any additional support beams or struts. The clear span is that portion of space that is not being supported with any type of additional vertical beams or posts. Clear span metal buildings provide their durability and strength through the use of exceptionally large and incredibly strong overhead support beams, whereas standard span buildings are constructed with smaller, weaker beams and use posts and/or columns to create the necessary strength needed for support. How Can You Put Clear Span Metal Buildings to Good Use? 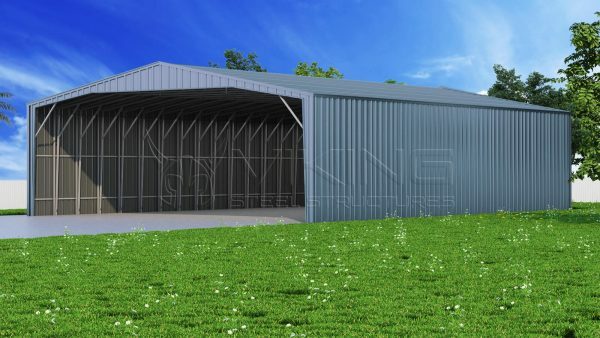 Clear span metal buildings can be used in almost any environment such as for commercial or industrial needs but also can include agricultural and residential applications. There are so many incredible applications for clear span buildings in the commercial and industrial sectors that it would take dozens of pages to extoll the many virtues. Suffice to say that the ability to store a vast array of different sized items and equipment are not the least of them. The complete lack of any hindering support beams or columns allows the user to store just about any configuration of supplies or equipment. They provide both the height and width space that can be required for many different types of commercial entities. Clear span buildings are not only for storage although they fulfill that function easily and without compromise. 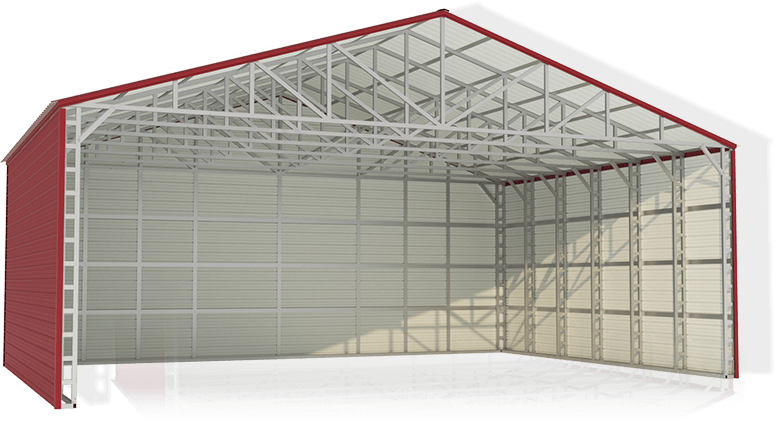 The fact that the user can change the internal layout to suit whatever needs they may have make clear span buildings an excellent space multiplier and are perfect for setting up a machine shop or other manufacturing or warehousing businesses. For those that have a fleet of vehicles, using a clear span metal building such as a clear span carport can provide the perfect solution. The open floor plan makes maneuvering easy and provides ample space for a large number of vehicles or rolling equipment. For residential owners that have multiple vehicles and want a very simple but trustworthy structure to protect them from the elements, they can rely on clear span carports that come in triple wide from 26 feet to 30 feet which gives ample storage for the protection that is needed. Most residences have a need for some type of out building. It could be something on a small scale such as a storage shed, or something bigger like a three car carport or a garage. No matter what type of steel building is required being able to use as much space within it is a priority and a convenience. Also residential owners can take advantage of a clear span building for other uses that may be required in a home setting. For those that are looking for extra external storage so they can maximize internal space, having a clear span building that does not require beams or poles is ideal and gives them the most space for their investment. 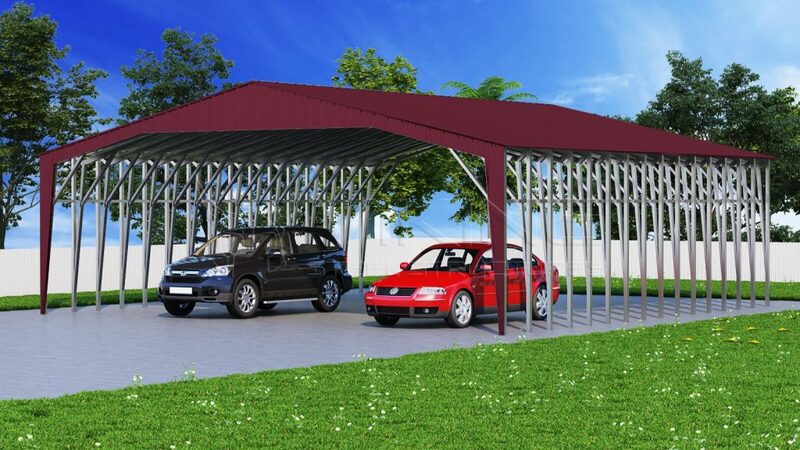 Being able to use a two or three vehicle carport without having to deal with interior posts or columns is not only a safety feature but a real convenience. Having to park vehicles in a metal carport that has center columns can be time consuming and a nuisance. Not having to worry about this means less risk of scratching or damaging the vehicle when trying to park or opening the doors. 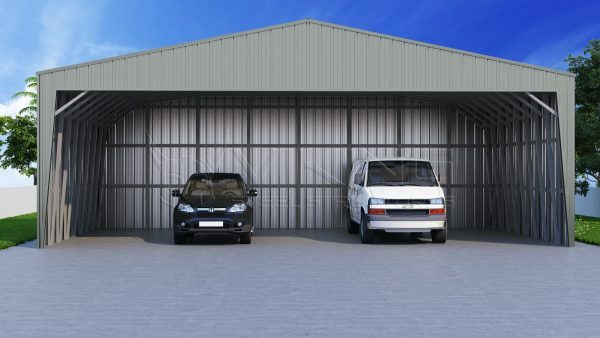 For clear span metal buildings that are designed as garages it means being able to house the vehicles in a safe environment. It allows for plenty of space to be able to move around freely or store items in another section of the garage without having the inconvenience or restrictions that posts or columns bring. Many home owners now have additional assets such as recreational vehicles or boats. It can be difficult to store these during the non-use months, but having a clear span metal building to serve this purpose is one that many of these types of owners are beginning to rely on because of their cost-effectiveness and convenience. Clear span buildings in a residential setting can be utilized for many different purposes. Many home owners are now starting to utilize hot tubs and other outdoor water venues in conjunction with a clear span building to offer unbeatable protection from the weather and expand their use of these water venues year round and it can easily be accomplished with this type of building. In addition to having livestock that needs to be housed and tended, they often require protection for much of their exceptionally expensive and numerous types of farming equipment. 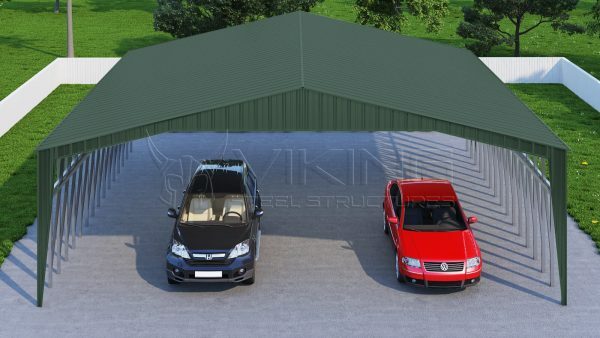 These are usually quite large in size and being able to use a clear span building to house them provides the perfect solution that is not only cost-effective and convenient, but is a safe and effective way to store the wide variety of these types of vehicles and equipment. Farmers required to store hay for livestock or for market are often faced with large bales that can come in a variety of shapes and sizes, and having ample space for storage is critically important for the farming industry. Metal clear span buildings have been found to be one of the best and most practical choices available for this use. It isn’t long before many businesses find themselves in need of some extra space. Picking up and moving isn’t always an option or really the best choice. A great solution is to invest in a clear span steel building that can meet the size requirements and be customized to meet the needs of the business. 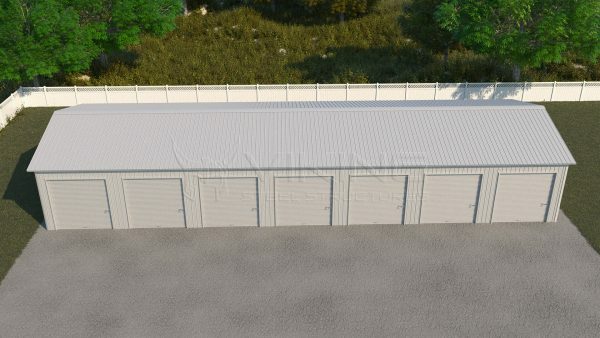 Many companies use these types of metal buildings for storage or extra working space. With all of the interior space of clear span metal structure being fully usable it means that it is cost effective and flexible. Aside from the many uses that these metal buildings can be put to, they come with a lot of extra advantages and conveniences. When they are purchased from a quality dealer such as us here at Carolina Carports Inc. these buildings are able to enhance the overall atmosphere where they are being placed. They are not only comprised of quality materials but are aesthetically attractive, which can help to dramatically boost the value of a property where they are situated. Being able to have a clear span building erected quickly and efficiently is a real convenience for those that need to be able to use the additional space this type of building provides as quickly as possible. 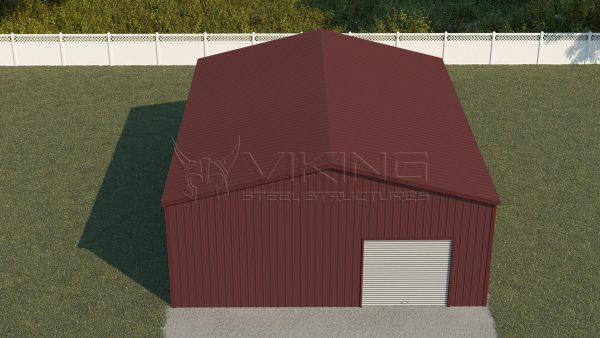 The clear span steel buildings offered by Viking Steel Structures have many benefits to them compared to standard metal buildings. Economical: With there being no need for support columns it means less cost of building materials. This makes it more economical for the purchaser. 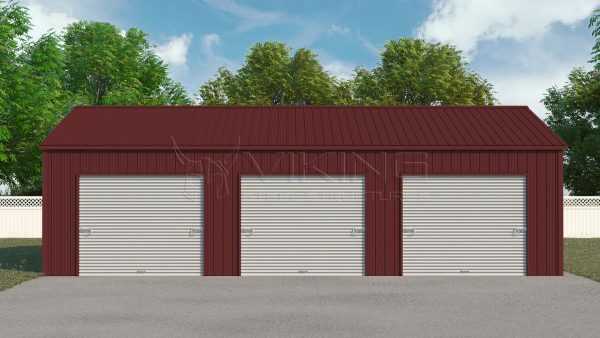 Durability: The clear span steel buildings provided by Viking Steel Structures are made with the very best of steel and impeccable workmanship. 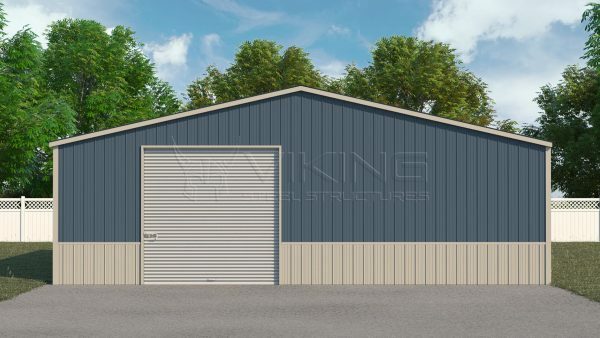 This makes the clear span steel buildings being offered by us here at Viking Steel Structures ones that can be counted on for their durability and longevity. 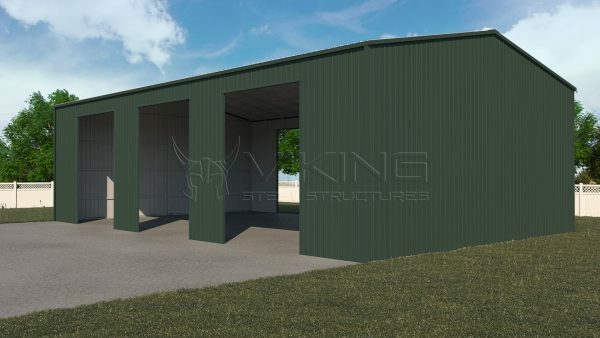 They are able to meet all of the requirements of those in need of steel buildings without having to sacrifice valuable internal space for extra support through the use of posts or columns. Flexibility: Every client that has a need for a pre-fabricated steel building has their own unique requirements. Here at Viking Steel Structures we are aware of this. Our clear span steel buildings offer the convenience of being able to utilize the entire interior of our buildings without being hindered with posts and columns. In addition to this, our pre-engineered steel buildings can be customized according to what our clients have a need for. This allows for a great deal of flexibility through choices and options. If you are in need of any type of metal building then you will really want to consider making it a clear span metal building. More Space- Once you have your metal building you want to be able to utilize every square inch of it. The best way to be able to do this is by not having to deal with posts and columns. More Choices- When you don’t have to deal with posts and columns it gives you more choices for the layout and use of your steel building. You have options as to how you want to utilize the entire space. It allows for changes in the use and layout of your space which gives great flexibility. 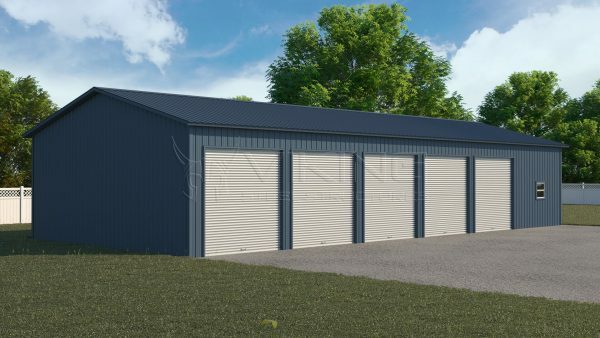 If you purchase this type of steel building with one purpose in mind then change your mind at a later date you have the option of being able to do that without having to worry about additional costs. Cost Savings- When you compare the costs of clear span metal buildings to other types of building such as wood for example, you will soon find that these clear span metal structures are less expensive to have constructed both in materials and labor. Looking at future savings is also important to keep in mind when making your decision about clear span metal buildings. You don’t have the same upkeep compared to other types of buildings. Nor do you have to worry about the save level of repairs. These are all cost saving features of the clear span metal buildings. The clear span metal buildings fit in beautifully with the rest of the architecture in the area where they are going to be constructed. There are choices in styles and colors which means they can blend in nicely with the area where they are going to be used. 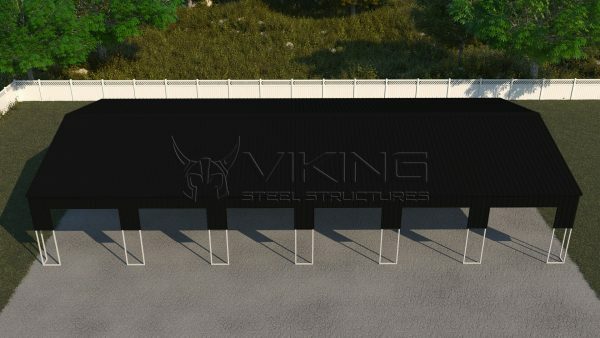 Why Choose Viking Steel Structures for your Clear Span Metal Building Needs? Here at Viking Steel Structures we pay attention to both the needs and wants of our clients. 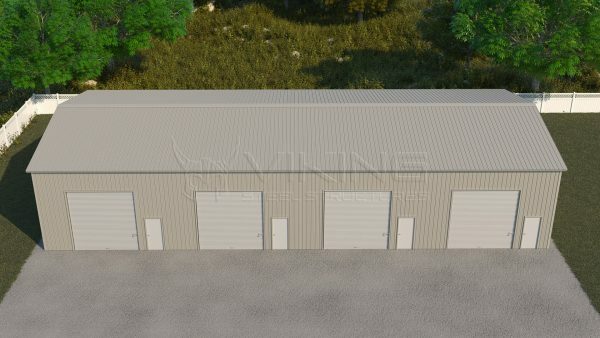 We have experience of several years and have gained a solid reputation as a quality provider of steel buildings of many different types and sizes that can be used for multiple applications. 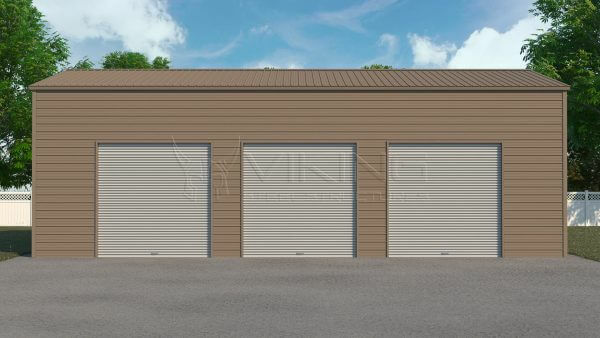 Viking Steel Structures is in the business of meeting the needs of clients who have a requirement for extra storage and working space in many different capacities. Our Company provides the very best in quality and workmanship for all types of steel buildings including clear span metal structures. Affordability is what we offer and it is backed with impeccable customer service. Contact us so we can provide you with the very best in clear span steel buildings.